With only one major hit among the best picture nominees, the Nielsen ratings for last night’s Oscar ceremony predictably took a major hit versus last year’s. Sunday’s roughly 220-minute telecast was the least-watched Academy Awards since 2009, drawing an average audience of 36.6 million viewers, according to preliminary Nielsen data. 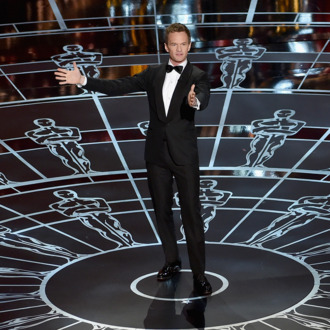 Ratings for the Neil Patrick Harris–hosted event were down about 15 percent from 2014’s preliminary tune-in estimate of 43 million viewers. Among adult viewers under 50, the show suffered a similar percentage decline, falling to an estimated 10.8 rating (compared to a preliminary 12.9 last year with Ellen DeGeneres). But historically, the demo ratings were more disturbing than the overall ratings: Only 2008’s kudos, hosted by Jon Stewart, appear to have notched a lower adults under 50 rating since Nielsen began tracking such things in the early 1990s. On the bright side, even at reduced levels, the Oscars still drew far more viewers than this year’s Grammys (24.8 million) or Golden Globes (19.3 million). It’s also possible that, like last year, the show’s numbers will inch up a bit when final same-day ratings are issued on Tuesday. Still, this is what happens when you don’t nominate The Lego Movie and Guardians of the Galaxy for lots of Oscars.